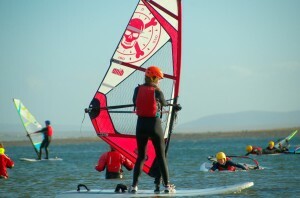 During this course our instructors will bring your windsurfing to the next level. They will improve on your basic skills and teach you how to go faster, to tack, to gybe, to self rescue, rig, steer and practise beach starts. As many modules as possible of each scheme will be covered. Log books will be signed and if completed certificates will be presented to the student at the end of the course. This course is run through the medium of Gaeilge, therefore, all participants are expected to have a basic level of Irish. Students will not attend Irish classes on this course but they must adhere to the general rules of the coláiste.